Caption: [photo] Hanover College students Amy Arnold and Megan Johnson leave their dorms Tuesday after the murder of Brian Walker prompted fears of more violence and an early holiday break. Darrell Baker, who operates Baker's Grocery, said Blake Walker "was a very polite young man.... It is almost unbelievable that he did this thing." COLUMBIA, Kentucky. – The sentencing of 17-year-old Blake Walker for killing his parents, scheduled for tomorrow, may bring closure to some, but others in this small college town say they have to know why it happened before they can get any peace. Since the shooting deaths of Brian Walker and Barbara Peterson on Dec. 9 one question has remained for many of those who know Blake Walker: Why? His court-appointed attorney, Theresa Whitaker, said her client wants a chance to explain what led up to the shootings in the basement family room. It would be his first public statement. On July 15, Walker pleaded guilty to killing his parents. He is expected to be sentenced to life in prison without the possibility of parole for 25 years. In taking the plea, Whitaker said Walker's primary concern was "to take responsibility for what he did, that was utmost in his mind." Darrell Baker, who has operated Baker's Grocery just down the road from the Walker farm since 1982, said he still can't understand what could have caused the teen to shoot his father. Baker said Blake Walker "came in here all the time. He never really had a whole lot to say. But he was a very polite young man. Always, `yes ma'am, no ma'am'. To this day, it is almost unbelievable that he did this thing." Blake Walker, a former Boy Scout and honor student at Adair County High School, confessed to shooting his father once in the head with a rifle and then shooting his mother multiple times when she jumped up from the sofa. In return for a guilty plea, Commonwealth's Attorney Brian Wright agreed to a lesser sentence, one that meant Walker, 16 at the time of the shootings, would not face the death penalty. Because of the nature of the crime, Wright said, Walker would have been eligible for a death sentence despite his age. "I think this is fair," the prosecutor said recently, adding that Blake Walker's family, including an uncle, Robert Stephenson of Louisville, had asked for leniency. "It's the toughest penalty there is that still allows for the chance that he will someday be paroled, maybe 25, 30 or 40 years down the road. Who knows what can happen in 40 years." Wright said the agreement will "provide for some degree of closure." Stephenson declined to be interviewed. Circuit Judge James G. Weddle will have the final say on the plea agreement. If he doesn't accept the deal, Walker will have the option of withdrawing his guilty plea, Whitaker said. If the case has to go to trial, Wright said he believes he has enough evidence to convict Walker. Among those who would have been subpoenaed were friends of Walker, something Whitaker said members of the extended Walker and Peterson families hoped to avoid. Whitaker said her client had wanted to spare his family the pain of a long court proceeding. Walker's friends, whom Wright would not identify, told the prosecutor that Walker told them about the shootings and early the next morning took them to his home and showed them his parents' bodies. Wright, recalling what he said in court about the day Walker admitted to the shootings, said that the teen "drove to Sonic, where a buddy of his worked. The two of them drove to another friend's and they watched a movie. He then took them to his house and showed them what he had done." The next morning two of Walker's high school friends alerted state police in Columbia. Police discovered the bodies at about 11 a.m.
By that time, Wright said, Walker had fled in the family's 2000 maroon Saturn, the car in which police would find him sleeping several days later in Oklahoma. Residents in Columbia, where the family lived since before Blake Walker was born, were stunned when a nationwide manhunt was initiated in December for the teen. When Walker was arrested in Oklahoma City a week later, reactions turned to grief and anger. "At first there was just this total shock and disbelief, and everyone just thought if we see Blake at our door, we'd just bring him in and hug him right there," said Faylene Streeval, a friend of the Walker-Peterson family. "But I think as time has gone on, the loss of his mom and dad in this community — I mean he lost a family but they were our community family too — has made people a little more resentful toward him, and maybe a little more angry." Peterson, 55, had been a full-time faculty member at Lindsey Wilson College, a four-year private liberal arts school; and Brian Walker, 54, had served in the Peace Corps and co-founded the Knifley volunteer fire department. Brian Walker was planning to leave Jan. 15 on an assignment to Afghanistan to help rebuild the country's infrastructure, Baker said. Manning Walker, 20, Blake's only sibling, was away at Hanover College in Indiana at the time of the shootings. Streeval, who has been caring for Manning Walker's dog since the shooting, said he has been "having a terrible time dealing with this. I think he is very confused about how to feel about Blake. I don't think he wants to see him or anything right now, because he doesn't know how to feel." Manning Walker could not be reached for comment. There's been a lot of speculation in the area about why Blake Walker would have done such a thing. Some residents have said it may have been because Walker's parents were upset after Walker was charged on Nov. 15 with driving under the influence after a car accident. "Some people have said they were so strict on him, punishing him about his DUI," Baker said of Blake's parents. "But that isn't the case at all. They weren't like that at all." Whitaker said there is no easy explanation for the murders. She said her client has cried often and hard over what he has done, but has not offered her a specific reason for what made him kill his parents. "People say that he has shown no emotion, that he shows no remorse," she said, noting some of the press coverage and town talk. "But they haven't seen him like I have seen him. He is very emotional over this." She said that her preparations for his defense have not uncovered any history of psychiatric illness in Blake Walker, nor, she said, has there been anything to suggest that his parents mistreated him. "He was not physically abused or sexually abused," Whitaker said. "We don't believe insanity or anything like that was an issue." Wright also said he hasn't been able to pinpoint a reason. Nothing in his investigation or in that of the police has identified a specific reason. He, like many in Columbia and Knifley, is waiting to hear what Walker has to say. Streeval said, "People want some answers. They just want to know why. I think to give some ending to this, people have to have some answers." "You have to remember that he was 16," Whitaker said. "Sometimes what seems obvious to an adult can be something else to a teenager. Blake was immature and did not know the boundaries between thinking something awful and doing it. Of course he wishes he could take back that one single act, but I guess most criminals wish that." In a detention center, Walker has completed his GED and has had time to think about the consequences of his rashness, Whitaker said. Manning Walker, she said, has kept his distance and is understandably angry, but other members of the family have written to Blake Walker. "He is going to have to accept his punishment and move on with his life," Whitaker said. HANOVER, Ind. - College students hastily packed up three days early for Christmas break Tuesday as police searched for a Kentucky teen thought to have killed his parents and whose next target might be his brother - a Hanover College sophomore. Hanover College, 70 miles southwest of Cincinnati, began sending students home at 9 a.m. Tuesday. The concern was that Blake P. Walker, 16, of Knifley, Ky., who police believe shot his parents to death Sunday night, would come to the idyllic riverside campus in search of his brother, Manning Walker, a Hanover philosophy and anthropology major. "The rumors of a gunman started yesterday," said Grant Saunders, of Symmes Township, a senior double majoring in business and economics at Hanover. "By last night, the doors to the library were locked. By this morning, exams were canceled." The parents, Brian Walker and Barbara Peterson, were found Monday after two of Blake Walker's Adair County High School classmates contacted police in the Kentucky town about 100 miles from the Hanover campus. Investigators believe Blake Walker acted alone in the shooting, but have no idea why. "Right now we don't have any reason why," Kentucky State Police spokesman Dwaine Barnett said. "Everybody we talked to in the family seemed to think everything was fine." Manning Walker was informed of his parents' death by college staff and rushed from campus housing, as officials feared that his life, too, was in danger. He stayed with a faculty member Monday night, officials said, and is now in hiding under police guard. By noon Tuesday, the campus began to resemble a ghost town, said Alan Clark, spokesman for the school. State and local police stood guard at the school's entrances as a few remaining stragglers stayed behind. "There is no word to describe what has happened," said Sean Smith, 21, of Springboro, who stayed late to write a term paper. "You feel for the guy. Trying to imagine what he is going through is hard to do. We are all getting ready to go home early, but he doesn't have anyone to go home to." "Since this is still an evolving incident with lots of unanswered questions, we decided to err on the side of caution," Mr. Clark said. "Better be safe than sorry. I think the parents would agree with that, too." Amy Arnold, 21, of Laramie, Wyo., is an acquaintance of Manning Walker. "We are getting to go home early, but the atmosphere hasn't been jovial," said Miss Arnold, a senior. "A classmate's parents died. What a horrible thought. My housemates prayed for the family this morning." Residents of Knifley, population 150-200, also tried to deal with the initial shock of the killings. Community leaders said the loss is especially difficult because the entire family was active in the community. The father, Brian Walker, 54, originally from Iowa, started a volunteer fire department in the town 16 years ago, just two years after he moved the family to Kentucky. He settled on a 218-acre farm in a house that he built himself after returning from a Peace Corps tour in Papua, New Guinea. Mrs. Peterson, 55, who was originally from New Jersey, was a psychology instructor at Lindsey Wilson College in Columbia, about 15 miles north of Knifley. School officials, who have had the high school on lockdown since Monday morning, said Blake Walker was a good student and involved in social activities. Blake Walker was last seen driving a maroon, four-door 2000 Saturn with Kentucky license plate 180 FVL. He was described as white, 5 feet 8 inches tall and weighing 140 pounds. He has brown hair and brown eyes. Anyone who knows Blake Walker's whereabouts is asked to call Kentucky State Police at (800) 222-5555 or the nearest law-enforcement agency. No funeral arrangements have been made for the couple. 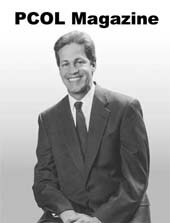 Minnesota RPCVs should call Senator Norm Coleman and ask him to introduce an amendment to the Senate Foreign Operations Bill for President Bush's full $359M Peace Corps appropriation. RPCVs from other states should call their Senators and ask them to support the amendment. Read what Sargent Shriver says ought to be the Peace Corps' new goal for the 21st century.